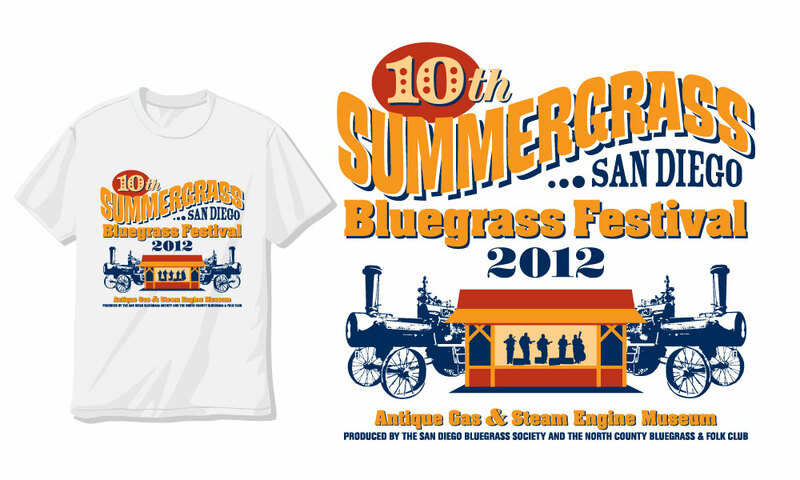 Summergrass San Diego Bluegrass Festival takes place each August at the fascinating 40 acre outdoor Antique Gas & Steam Engine Museum near San Diego, CA. 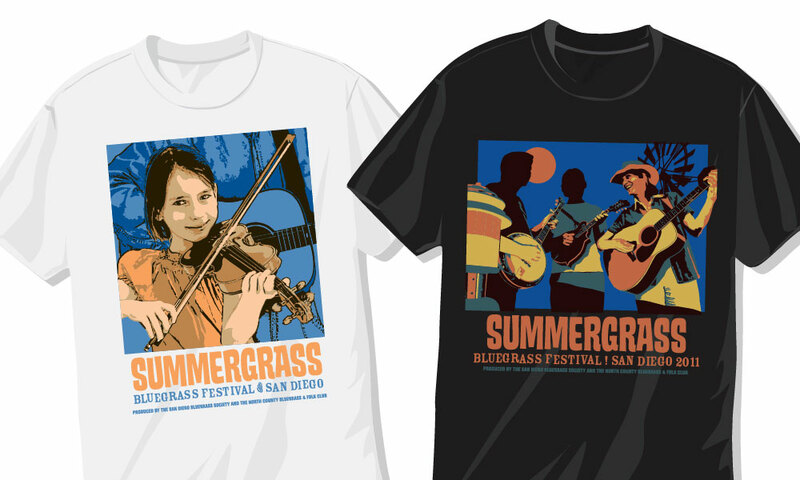 In its second year, the producers asked BrainShine to get involved in the marketing and branding. 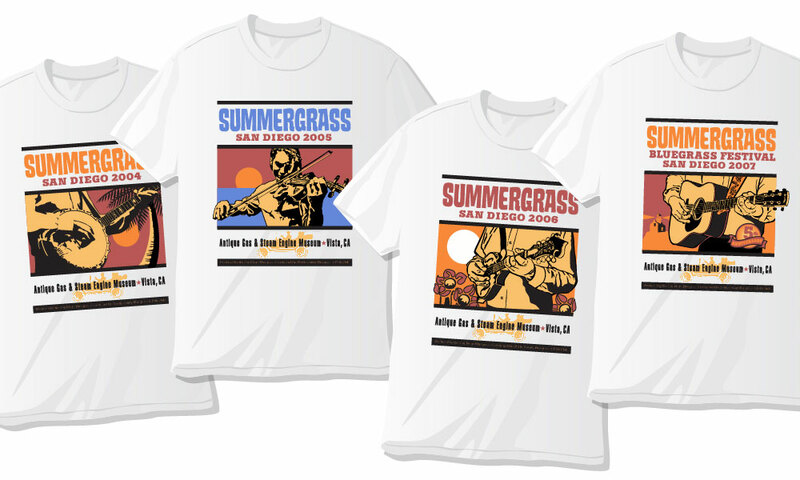 We started by creating a logo for their promotional use, then designed their commemorative T-shirts each of the next nine years. 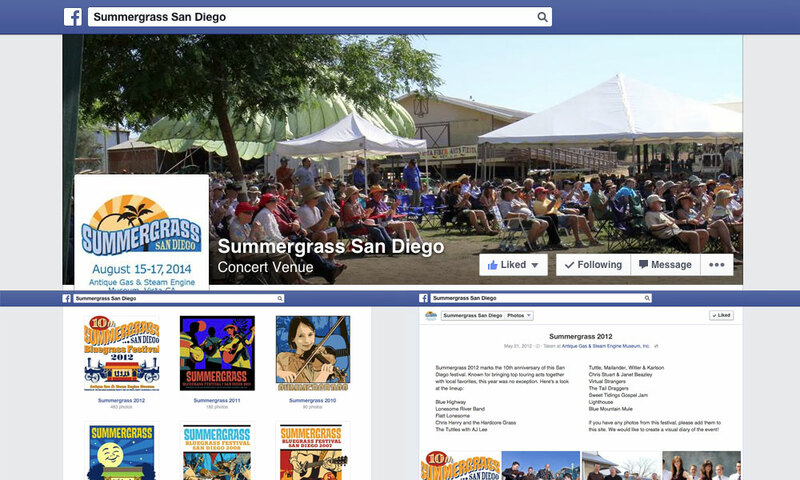 Since the first festival, we’ve assisted with marketing and built their social media presence on Facebook and YouTube. 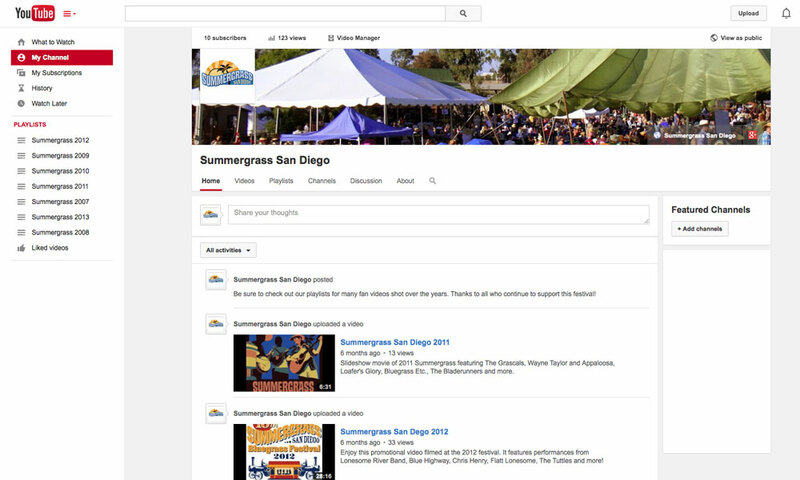 Also seen here is a promotional video slideshow we created for use at trade and consumer events. 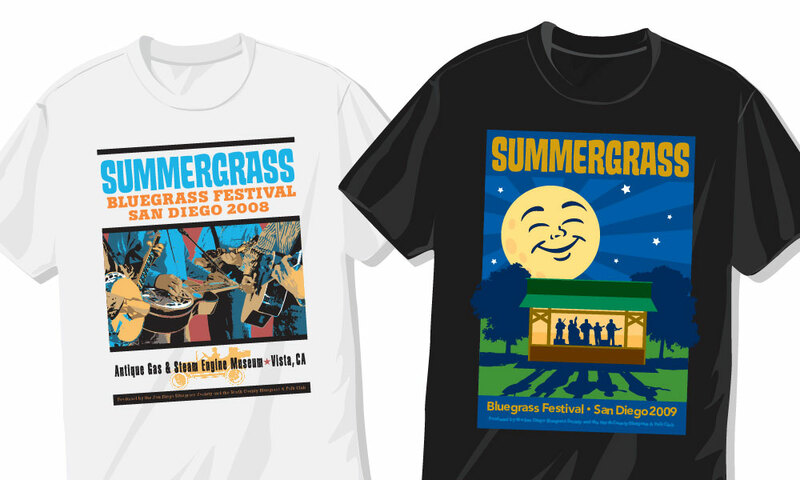 The festival continues to thrive and BrainShine is thrilled we could play a part in Summergrass San Diego’s success.